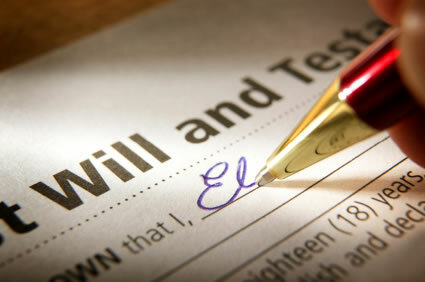 Passing away without a will is known as dying “intestate”. Your state laws will govern how your property is passed down, which usually gives your assets to your spouse and children. When you pass away and do not have a will, your estate enters the probate process through which it will be determined what happens to your assets. Although the probate process does provide a way of managing estates without wills, this is often not in the best interest of the party who has passed away or the beneficiaries. A major reason for this is the loss of control and the very public nature of probate. When you put a will together, you’re able to craft a plan that reflects what you actually want to happen to your property and gives you the opportunity to exercise personal control. Without a will, the probate process can generate confusion and frustration for the loved ones who are already grieving your loss. Wills can be customized based on the complexity of your estate. While all you might need is a simple will, a meeting with an estate planning attorney can also open to your eyes to other planning tools that aid in the process of minimizing taxes and maximizing the benefits that your loved ones will receive after you pass away. Other planning tools, like trusts, may be applicable in your situation. To learn more about putting together a will or a comprehensive estate plan, schedule a consultation today by emailing info@lawesq.net.